A sofa is the most important furniture in your living room and its absolutely necessary to keep it clean and shining. 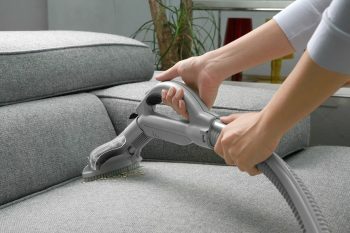 Our sofa cleaning services include sofa scrubbing using an eco-friendly detergent / solvent, sofa sanitization and sofa vacuuming & drying right at your door step. We have highly skilled and professional cleaners and the products that we use are eco-friendly cleaning products. Hence your sofa remains a spotless, dirt free, refreshingly new looking sofa. UrbanZila is recognised as the fastest-growing startup in India. We are a mobile marketplace for local services like Doorstep laundry / Dry Cleaning / Shoe laundry and repairing services in Patna and Ranchi . Why There Are Some Clothes That Needs To Be Dry Cleaned? Get best experience with UZ Team.